So it’s been a rude awakening for me this year when I’ve found myself dropping some balls — or barely catching, as when a to-do pops in your mind like a last minute save. It seems I finally reached overload status between a demanding and varied work schedule, recurring travel, and a busy family — and my well-honed systems started breaking down. 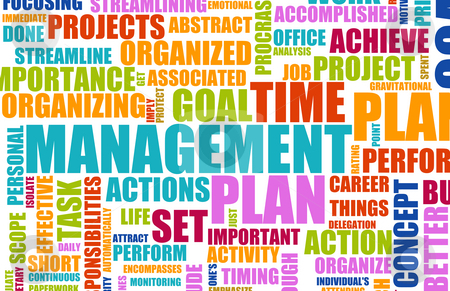 For the first time in my life, I started thinking I needed a systematic approach to time management. I’ve coached my clients around time management for years, so luckily I had a well of advice to draw from and put into practice. In our overstuffed days, it’s a typical professional lament to just have a few more hours in a day. We don’t want much really, just to produce more, and better. Never mind that we’re asked to do more than our predecessors were ever asked to do, and by the way, to do it around the clock. For all of you out there who want to get better at time management, I wish I had a magic bullet for you. All I can offer are my best tips. They’ve worked for me, and perhaps they will for you as well. Peter Bregman, author of the bestselling time management book 18 Minutes, advises to make a plan as the first thing to do when you begin your day. In this article, he discusses the power of setting priorities up front — before even checking email. How often do we get to our computer, power up email, and get lost in minutia? I’ve had clients so governed by email, that they go through their inbox at midnight to get a jump start before the morning. Email rules way too many of our waking hours. We’re bombarded with requests, and saying no can be difficult. Especially when you want to do everything! For me, this is a by-product of doing work that I love. But the reality is that you can only do a limited amount of things well. As a friend says, the work is infinite but our time is finite. As author Karen Burns advises in this list of time management advice, what’s important is not always urgent. And vice versa. She suggests being ruthless about what you take on, and then prioritizing from there. By finishing the most important tasks first, you’ll find yourself feeling less stressed and better able to focus on all the other items on your list. I can still remember the first time I put a fitness class on my Outlook calendar. It felt like I was cheating work in some way. Fast forward, and now everything goes on one calendar — from work, to workouts, to my kids’ activities. I’m one person, so I need one schedule. This is a strategy I swear by. When you have important, thinking work to do, get away from your desk. Close your door, and sit at a table. If you can’t do that, go to a conference room, or a coffee shop, or even step outdoors. The point is to physically separate yourself from the distractions. Being away from your desk for an hour or so won’t cause you to miss much, and the efficiency you gain can be significant. I’ll admit that this one is hard for me. But the reality is that with so many demands on our time, we’re occasionally going to slip up, even with the best systems. We’ll have to say no to work we’d love to do, but can’t manage. One of the kindest things we can do is to forgive ourselves, then move on and try to learn from it. When we have a system in place, we’ll catch 90% of what we need to do, and even more of the big stuff. After that, time management goes into the bucket of trying our best. I’ve found that when we do slip up, others are often more forgiving than we are to ourselves. After all, we’re all on the same roller coaster. Do you have effective time management techniques to share? Comment here.